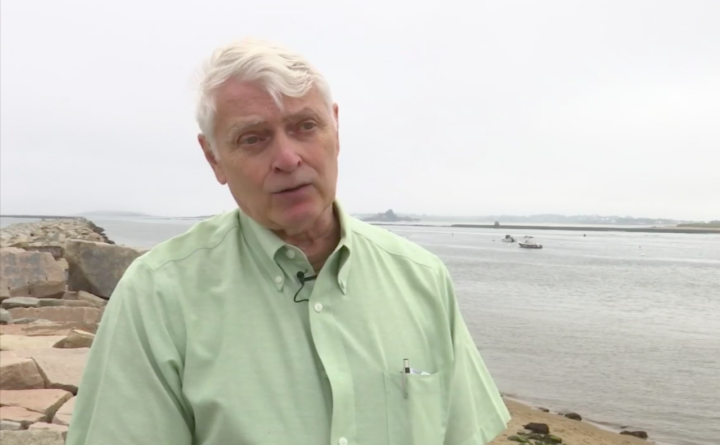 Saco Mayor Marston Lovell talks to CBS 13 about erosion along the city's waterfront. Elected officials in Saco are hoping to get federal funding to help with beach erosion becoming a major problem in the city. The jetty at Camp Ellis, which was built in the 1960s, is causing ocean water to churn towards the shore. During storms, waves pound against it causing the beach to shrink in size. Saco’s mayor, Marston Lovell, says it has been an ongoing issue. 38 oceanfront homes have fallen into the Atlantic over the years as a result of the erosion. City councilors walked along the jetty with U.S. Rep. Chellie Pingree, D-Maine, on Saturday to discuss resolutions. Councilor Lynn Copeland says one, which would add protective barriers, would cost more than 43 million dollars. “Army Corps of Engineers wants to put 750 spur two thousand feet off this six thousand foot jetty and also put two other wave breakers to stop the wave action so the stand stays in,” says Copeland. They are hoping for the House of Representatives will vote yes to provide funding for the solutions in the upcoming year.